We are very proud of the Customer Reviews we have received over our years of trading. That is why we have set up this page on our site to show customers comments and links to verify them. We want to share our customers comments with you, so you can read for yourselves what people think of the service that we provide. Please take some time to read these and if you use our services, please leave us a review so we can continue to share with future customers. This section shows review we have received independently from google reviews, the link will take you directly to the review site, we have highlighted the comments we received below also. We were a Member of Check a Trade until May 2018, these are Independent Customer Reviews that we received through the Check a Trade review site. Urgent Replacment of Brake Pads. Fault Finding & Repair of Non starting Car. Arrived Saturday and quickly diagnosed that the fuel pump was not working on the car. Fuel pump was ordered and fitted promptly once it had arrived after the weekend. Great job. Customer from Fawley, February 2018. “An efficient & speedy service provided to my doorstep” Customer Reviews from Dibden Purlieu, November 2017. “Very pleased with the prompt response, assistance & courtesy of company” Customer Reviews from Fawley, October 2017. “Very pleased to have a dry car after trying to fix it ourselves. Very polite, helpful & great understanding of the car. Fast, efficient, not expensive”. Customer Reviews from Totton, October 2017. “Excellent Service as normal” Customer Reviews from Hythe, September 2017. “Very good service, would use again 5 STAR” Customer Reviews from Southampton, September 2017. “First time I’ve used them. My car was collected at the agreed time and returned earlier than expected. All work carried out to my satisfaction and for the agreed price. Would certainly use them again.” Customer Reviews from Hythe, August 2017. Replaced catalytic convertor and replaced O/S/F seat belt. “AMC Car Repairs is the best mechanic I have ever had working on my car. Polite, on time, great pricing, honest, fast, the best!” Customer Reviews from Dibden, July 2017. “As usual, top service from these guys. Diagnostics carried out at our request with a well informed quote for repairs broken down into items by urgency. Collected vehicle as arranged, and returned as agreed. Always a friendly service with very transparent pricing. Will be using again.” Customer Reviews from Eling, July 2017. “Great service, called yesterday morning, Aaron came round and diagnosed that evening and then fitted the part on our drive the today as the car couldn’t be driven. Good price and very handy that I didn’t need to get transported to garage, back on the road straight away.” Customer Reviews from Holbury, June 2017. “Aaron has wide knowledge and is always keen to provide a first class service. The problem was identified before making contact, but needed his knowledge (and spanners!) to resolve.” Customer Reviews from Marchwood, May 2017. “Excellent service, extremely prompt, really pleased and already getting for other work needed.” Customer Reviews from Hythe, May 2017. “Superb experience. Car diagnosed and restarted very quickly. Very helpful, knowledgeable and friendly. Very quick to respond. Wish I had discovered them much earlier. Will definitely be using again. Thank you very much !” Customer Reviews from Hythe, April 2017. “We were recommended by another garage in town to contact Aaron to do the job. He was prompt, efficient and kept us informed of the part details and cost.” Customer Reviews from Dibden Purlieu, April 2017. “Mechanic came to my work instead of me having to go to the garage saving me heaps of time, professional service, honest and trustworthy approach, reasonable price.” Customer Reviews from Dibden, April 2017. “High standards of work, as always. Supplementary advisory notes most useful, drawing on AMC’s extensive knowledge and experience gained from work in MOT testing. Would definitely recommend.” Customer Reviews from Hythe, March 2017. “This company was first class. Excellent communications. Friendly staff. Great time keeping. A friendly, local company. I have already started recommending them, Thank you!” Customer Reviews from Dibden, March 2017. “Couldn’t have asked for better service.” Customer Reviews from Hythe, February 2017. Fitted New Crank Shaft Pulley. “Very pleased with service, would definitely use again and also recommend to friends and family.” Customer Reviews from Calmore, February 2017. “Careful diagnostics which took several hours. Part ordered from Sweden so took 5 working days. Once arrived, immediately arranged to fit at home. Very friendly, efficient and trustworthy.” Customer Reviews from New Milton, February 2017. “Collected car, completed work promptly, and bought the car back again. Good Price, Good Service, all done around times to suit me. Finally I’ve found a mechanic I can trust. Great price for the work done as well.” Customer Reviews from Hounsdown – January 2017. 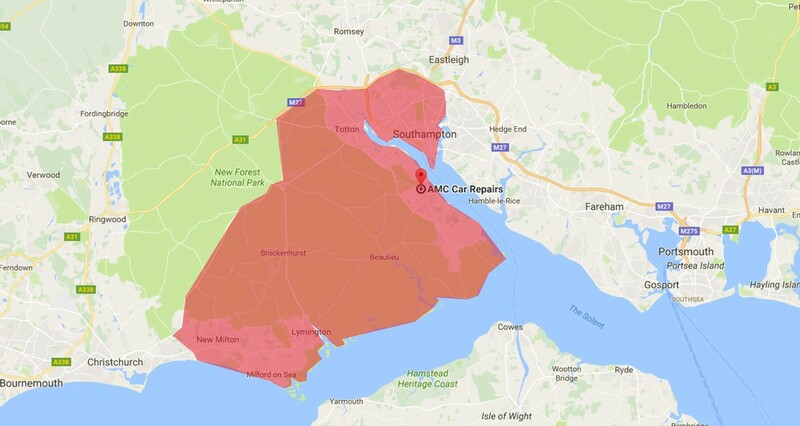 “Very Pleased with work done, in fact my car was returned well before the time stated, would definitely AMC Car Repairs 100%.” Customer Reviews from Hythe -January 2017. “Top Garage Highly recommended” – Customer Reviews from January 2017. Replaced Cambelt, Water pump and Auxiliary Belt and Carried out Full Service. “Collected on time, work completed at agreed price, no mess, returned on time, would recommend.” Customer Review, Totton -December 2016. Fixed air leak on engine. “Good professional service and friendly.” Customer in Hythe – December 2016. “I thought I could do a quick job fixing my car but got stuck and couldn’t do it. I called AMC and the mechanic came round and fixed the car no problem. I’m really pleased with the service and will definitely be using AMC again”. Customer in Totton – November 2016. “Very nice guy, did a great job the same day I called him and charges a very fair price”. November 2017. Investigate brake fluid leak & replaced both front brake hoses. Replaced near side front track rod inner arm, rear engine mount & tracking. “Very Good”. Customer from Hythe – November 2016. “We use AMC Car Repairs for both our cars and recommend them to friends and family. The Technician is very good at what he does and I can not see us going anywhere else”. Customer in Holbury – November 2016. “Have used AMC a number of times now, and always found service excellent. Would not hesitate to recommend to others.” Customer in Hythe – November 2016. Full Service, Brake Fluid, Alternator Belt Replacement. “Excellent job as usual”. Customer in Dibden Purlieu – October 2016. “This was my first contact, what a great service, job done same day I called, really good value, very professional service”. Customer in Hythe – September 2016. “Highly recommend. Came out the same day ( that evening, even though we could have waited ). Very polite and friendly service. Collected our car and returned it two hours later as agreed. Will be using again.” Customer in Eling-September 2016. Fault traced to O2 sensor and replaced. “Very efficient, polite and excellent time keeping, will be very happy to recommend to others.” Customer in Totton – August 2016. Replaced bath front coil springs. “Very professional and proactive service including pre-ordering parts and doing the work on a Sunday afternoon” Customer in Dibden – August 2016. Mot , replacement tyre, small service, + diagnostic code read. “Great service and very reliable.” Customer in Lymington – July 2016. “Good service, fair price” Customer in Dibden Purlieu – June 2016. Small service, MOT and replaced alternator belt. ” Replaced anti roll bar link ( O S F ).Customer in Hythe – June 2016. Oil and filter change, cleaned EGR and Throttle body and resolved glow plug number three error. “Excellent all round”Customer in Dibden Purlieu – June 2016. Traced fault to ignition coil pack and replaced. “Great service! Came around the same day! Very knowledgeable about his trade, 10/10”Customer in Totton- May 2016. “Excellent service.”Customer in Dibden – April 2016. “Great customer service and excellent value. Would definitely recommend”Customer in Marchwood – April 2016. Full service with brake fluid change. “AMC communicated politely plus promptly before the job and arrived on time. They were thorough and carried the agreed work out to an excellent standard.”Customer in Ashurst – March 2016. Cam belt, water pump and auxiliary belt replaced. “AMC Car Repairs returned our enquiry call within an hour and quoted us the following day. On the agreed date AMC Car Repairs arrived at the given time to collect the car and it was returned to us later the same day.”Customer in Holbury – March 2016. Front coil springs plus front plus rear discs plus pads. “Very good service provided by AMC. Would recommend to other local people.”Customer in Marchwood – February 2016. “This fault was well diagnosed by AMC. It was then competitively quoted and rectified successfully. Great care was taken to research the fault, use best diagnostics and then rectify using OEM parts. Thank you AMC ! !Customer in Totton – February 2016. “Fantastic service – even returned the next day to give change back”Customer in Dibden – February 2016. Replaced cambelt, waterpump and aux belt and coolant level sensor. “Excellent service overall. 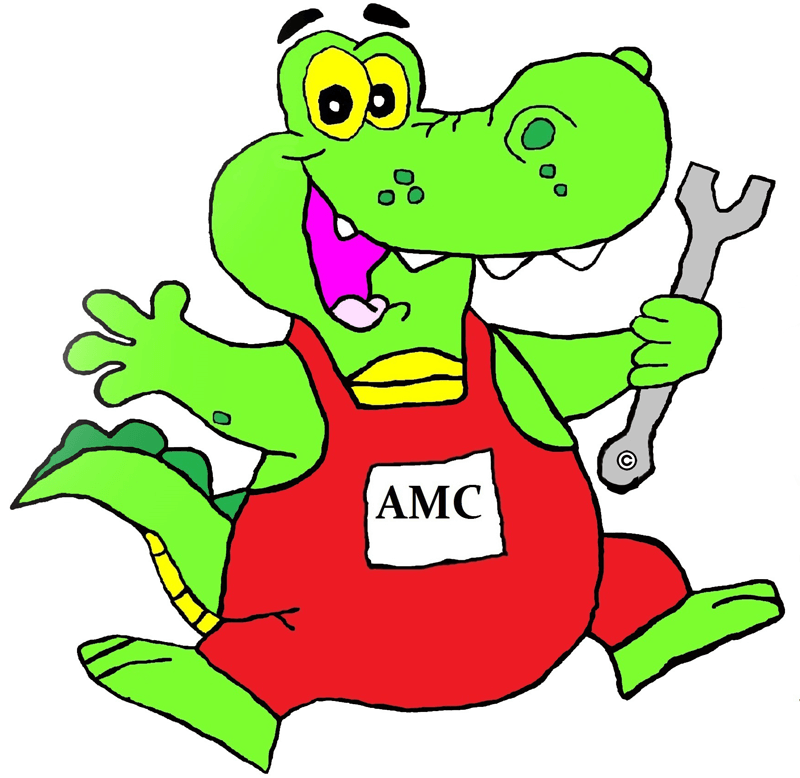 After some bad experiences with local garages, AMC Car Repairs located and fixed the problem in no time. Highly recommended!”Customer in Langley – January 2016. Replaced cambelt and water pump. “I was a bit worried about my car being collected by an unknown man but he was great, Friendly, thorough and transparent. 6 months on and trouble free motoring.” Customer in Dibden – January 2016. Diagnostic code read and replaced lambda sensor on Audi TT. “Excellent, very prompt and friendly mobile service from initial enquiry through to completion of work. Great communication at all times and went above and beyond the level of service I expected. Competitive prices too. Will definitely be using again as an alternative to specialist garages. Glad I found this company” Customer in Langley – January 2016. “On time explained what needed doing, returned car with job complete, very polite , said other work may need doing soon” Customer in Hythe – January 2016. “Very good value and reliable service. Friendly and timely. Customer in Dibden – January 2016. “Really pleased, polite, fixed my car quickly” Customer in Hythe – December 2015. Service and brake fluid change. ” Great service from AMC. Competitive pricing too” Customer in Holbury – December 2015. Investigated grinding noise as reported by customer. Replaced brake discs, brake pads and o/s/r caliper. “Fantastic service!”Customer in Hythe – November 2015. Investigate engine warning lights, replaced alternator, investigate rough running and replaced injector. “Very good service. Car had been to two work shops and were unable to find the fault. AMC found the fault in less than one minute”Customer in Holbury – November 2015. Fitted near side outer CV boot. “Always very accommodating, working around me, good service”Customer in Hythe – November 2015. “First rate all round. Reliable,trustworthy and very experienced technician. Will use again and can recommend with confidence.” Customer in Hythe – November 2015. “Couldn’t be better.” Customer in Totton – October 2015. Small service and front wiper blades. “Impossible to find any faults in workmanship or personal aspects. Reliable and honest, thanks for brilliant work” Customer in Marchwood – October 2015. “Difficult job completed well and at very good rates. Swift and professional.” Customer in Marchwood – October 2015. “Professional and friendly person to deal with. Knowledgeable and courteous service given. Excellent on all counts.”Customer in Marchwood – October 2015. “Perfect in every way, price was very competitive. Excellent workmanship. Well recommended” Customer in Hythe – October 2015. Repaired faulty rear wiper motor . “Great service , friendly advice given good value for money .Highly recommend” Customer in Dibden – August 2015. Replaced Auxiliary belt, air conditioning and auxiliary tensioner. “Fantastic service, very happy indeed.” Customer in Hythe – August 2015. Investigate battery drain and noise as reported by customer. Traced fault to alternator. “Extremely pleasant and polite. Explained everything clearly.” Customer in Langley – August 2015. Small service, pollen fitter and brake fluid change. “Great service, very friendly and honest” Customer in Totton – July 2015. “I would recommend this company” Customer in Totton – July 2015. Full service, brake fluid + coolant change. “First class service, done on time. Second time I have used them and will do so again.”Customer in Hythe- June 2015. Replaced rear brake discs and pads. “Excellent service, cheap price and good information.” Customer in Dibden – June 2015. Arranged MOT and Carried out Service. “10/10” Customer in Dibden – June 2015. “Excellent service. Would highly recommend” Customer in Dibden – May 2015. Investigate non-start. Diagnostic tests traced to faulty fuel pump. Fitted new fuel pump. “I would recommend this company.” Customer in Blackfield – May 2015. “Excellent service and completely saved our bank holiday weekend.”Customer in Holbury – May 2015. Rear brake disc and pads. “Great service, value for money, exceptional communication, will definitely recommend”Customer in Holbury – May 2015. Fitted new front aerial anti rol bar and bushes and 2 new tyres and tracking. “Excellent service, very good.”Customer in Dibden – May 2015. “Excellent service. Job well done. Very helpful. 10 out of 10.”Customer in Totton – May 2015. “Excellent service, good attitude”Customer in Totton – May 2015. “Excellent service”Customer in Dibden – May 2015. Replaced rear brake pads and disks. ” Very helpful and prompt service at a very reasonable price. I would recommend.”Customer in Dibden – April 2015. Investigated non start, supplied and fitted new battery. “Excellent service, good advice given and very reliable. Turned up exactly at the time arranged and kept fully informed regarding prices. Excellent all round.”Customer in Totton – April 2015. “As always job well done.”Customer in Blackfield – March 2015. “The work was done on time. No extra costs and man was very professional.”Customer in Dibden – March 2015. “Time keeping excellent, turns up when he says. Suggested a price to diagnose fault, but charged less as he fault proved to be difficult to find and a lot of thorough checks had to be done. I don’t think he wanted it to beat him. We got to the root of the problem and car running fine now. Have used him again for my son’s Polo when a fault came up. Again, reliable and sound advice. Only charged a nominal fee and we could then fix it ourselves. Very thorough and a nice guy.”Customer in Hythe – April 2015. Inner steering rack tie rod. “Brilliant service, always friendly, quick response, always arranged in my time table. Would definitely recommend.”Customer in Blackfield – March 2015. “Very happy with the work carried out. Good communication and timekeeping. Very friendly, polite and professional service. Will use again.”Customer in Marchwood – February 2015. New connector to diesel injector. “Good communication, pleasant manner, competent work.”Customer in Ashurst – February 2015. “We called on a Friday and he was with us the next day. Very pleased with everything, would use again.”Customer in Marchwood – January 2015. “Used this company before usual good service. Knows his job.”Customer in Hythe – January 2015. Vacuum hose fixed and engine codes cleared. ” Very professional, ensured the work was done as soon as possible and had me back on the road the same day.”Customer in Hythe – January 2015. Carried out small service replaced handbrake cables. ” I would recommend this company.”Customer in Hythe – January 2015. Removed exhaust front pipe and cleaned turbo with cleaning agent. “Unable to check work until we tow caravan again which will probably be in April.”Customer in Dibden – January 2015. “I would recommend this company” Customer in Totton-December 2014. Replaced near side rear wheel bearing. “Excellent service, very polite, clean. Have used 3 times and very pleased.”Customer in Hythe- December 2014. “Excellent prompt and friendly service.”Customer in Dibden -December 2014. “Fantastic, friendly service. Quick response and great communication. Would definitely recommend” Customer in Totton – December 2014. Repaired electrical fault on horn. “Quick and reliable service, helpful and got job done.”Customer in Hythe – December 2014. Supplied and installed new battery. “This is the second time we have used them, very reliable, quick and helpful.”Customer in Hythe – December 2014. Replaced drivers side wing mirror unit. “Great service with a smile and speed. Charged less than estimate.”Customer in Hythe – November 2014. “Brilliant response, excellent, very pleased. Will definitely use again if required.”Customer in Langley – November 2014. “Service was prompt and polite, a very good prompt job done at very short notice.”Customer in Hythe – November 2014. Small service and coolant change. “Top class work from a genuine motor trade professional, and at very reasonable cost. Would definitely recommend to others.”Customer in Hythe – October 2014. Small service with genuine Volvo parts. “Very efficient and very good pricing.”Customer in Holbury – September 2014. Locate missing hose and replace. “Reasonable priced, knowledgeable, friendly and efficient”Customer in Hythe -September. Small service and front brake discs and pads. “Good quality service”Customer in Langley – September 2014. Replaced rear brake calipers and hand brake cables. “Very prompt and polite service was provided. The work was completed on time and to a competitive price. Will definitely use their services again.”Customer in Dibden – September 2014. Investigate non start and fitted new battery. “I found his work very satisfactory”Customer in Langley – August 2014. Small service and auxiliary belt change. “Great service. Friendly and helpful.”Customer in Hythe – August 2014. Large service and brake fluid change. “I would recommend this company. Good customer service, surpassed all expectations and highly recommended”Customer in Totton – July 2014. Replaced parking brake and lower rear suspension arm and MOT. “Excellent Service”Customer in Hythe -June 2014. Replaced engine coolant hose and anti-freeze. “I would recommend this company. They did a great job on my van. Left it with them when I went on holiday. All ready and fixed for my return. A happy customer.”Customer in Blackfield – June 2014. Replaced drivers side wing mirror cover and glass. “Courteous service, no hidden charges for work.”Customer in Hythe -May 2014. Replaced broken gear lever linkage. “I would recommend this company.” Customer in Hythe – May 2014. Diagnostic code read and replaced spark plugs. “Great quick and friendly”Customer in Dibden – May 2014. “Great job, very informative, would definitely recommend”Customer in Hythe – March 2014. Starter motor and intermittent power problem. “Work carried out same day. New starter motor new coils and spark plugs. Phoned to say what price would be and phoned to say finished excellent service. Recommend.”Customer from Dibden -February 2014. 80k service on Audi A6. “A very professional service from a highly skilled master technician. Car was collected from and delivered back to my home address. The technician even brought back all the old parts to show the condition and to indicate what work had been carried out. Very pleased with the experience.”Customer in Hythe -February 2014. Car wouldn’t start, came out in evening, towed away, fixed and brought back to home address. “Very pleased with the service provided. Polite, helpful and thorough, fault with car was simple they simply fixed and cost was minimal. This is the 2nd time I have used them”Customer in Hythe-February 2014. “Very reliable and hardworking” Customer in Hythe- January 2014. “Great service, Good value for money, Extremely helpful tradesman”Customer in Hythe -January 2014. “Reliable quick and efficient and the job done”Customer Hythe -January 2014. “Reliable and trustworthy and genuine”Customer in Dibden -January 2014. Read Engine Codes. Suspected Turbo Waste Gate Problem. Lubricated and Freed off. “Reasonably priced, did a quality job and reliable”Customer in Hythe – December 2013. “Very convenient, reliable and friendly”Customer in Hythe- October 2013. “Did a good job”Customer in Dibden – August 2013.